A pregnant woman and her newborn baby became Philadelphia's latest murder victims over the weekend and on Monday, the city offered a $40,000 reward for information leading to their killer. 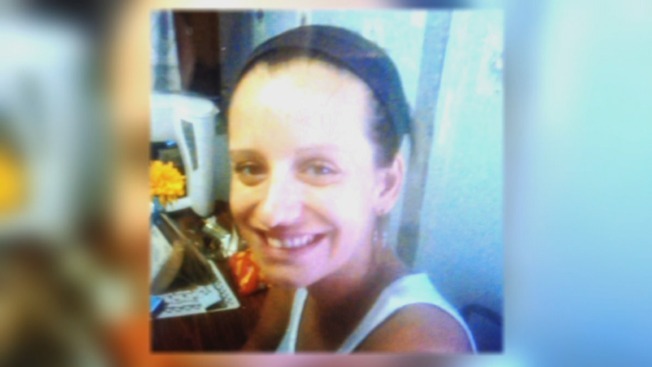 Philadelphia Police say Megan Doto, 25, who neighbors say was eight-months pregnant, was sitting with a man outside a home on 1520 Adams Avenue shortly before 11 a.m. Sunday in Philadelphia's Frankford section when investigators say an unknown male gunman wearing all black opened fire on a car along Griscom Street, striking her in the face. The baby was delivered during an emergency procedure after the drive-by shooter killed the child's pregnant mother. "When I looked back at Megan, she was already struck in the face with the bullet. I'm attending to her because it's the only thing I know how to do -- was to attend to her," said neighbor and witness Christopher D'Agostino. Medics rushed Doto to Temple University Hospital where she underwent surgery for an emergency c-section. Doctors pronounced Doto dead a short time later. Her baby died early Monday morning, according to police. Moments after the shooting, D'Agostino rushed to Doto's side to try and save her. He rode in a police cruiser to the hospital. Initially, police considered him a suspect. "It was broad daylight, but nobody is speaking right now," said D'Agostino. "You gotta say something. Any small info is big right now. But, you gotta say it. Someone seen something." Doto's boyfriend and the newborn child's father told NBC10 the baby boy died less than an hour after his delivery. The hospital said that the baby died Monday at 1:13 a.m.
"One of the bullets traveled down the street and struck her on the right side of the face," said Philadelphia Police Cpt. Steve Murianka. Police recovered no weapon at the scene, but two dozen shell casings were found a block away. Investigators said they believe one of Doto's friends was the intended target. The shooter may have fled the scene in a late model white Ford Crown Victoria or light-colored Chevy Impala with tinted windows, according to investigators. Loved ones say Doto had two other children - ages 4 and 6 -- and was originally from Bensalem. They also say she was planning on naming her newborn baby "Carmine." Doto's neighbor David Dukes Jr. said she stuck to herself often sitting outside with her friends. "It’s very sad and very tragic that you have a young lady 25 years old in the prime of her life just shot and killed," said Cpt. James Clark. "It’s even more tragic that her baby was also killed." "We are asking for the public’s help in this tragic and senseless double homicide." Tipsters are asked to call the Philadelphia Police Homicide Unit at 215-686-3334 or 3335.